So your realtor tells you that you need to make your earnest money check out to the title company. All of a sudden you think ok but what is earnest money? Earnest money basically is like a security deposit that shows you are serious and willing to complete the transaction of purchasing the land or home you have a contract to purchase on. How much earnest money do you need to put down? It totally depends on the circumstances, but normally earnest money is 1%-5% of the purchase price. To see what is common in your area, we suggest you talk your agent. Earnest money is not the same as your down payment on the property, however if your transaction successfully completes then your earnest money will go towards your down payment. When your agent brings the earnest money check and the contract to the title company, the title company will receipt both items and deposit the earnest money in the escrow account they have. 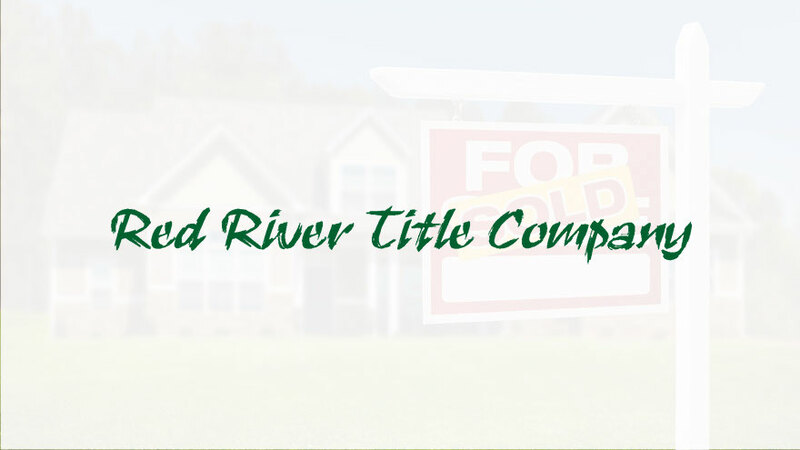 Title company will hold the funds until certain conditions are met. If your earnest money is going to be $1,500 or less the title company will accept a personal check for these funds. If your earnest money is going to be $1,501 or more then the title company will require certified funds such as a cashier’s check or a wire. This is not a rule that the title companies have in place, it is a rule that the Texas Department of Insurance has in place and the title company must comply with. If the contract terminates and the earnest money is to be refunded, once the title company has received the fully executed release of earnest money (or a fully and properly executed termination section 1 ” The unrestricted right of Buyer to terminate the contract under Paragraph 23 of the contract.”) they will refund the earnest money. Without a fully signed release of earnest money or an appropriate termination, earnest money disputes are resolved per paragraph 18 of a standard TREC residential contract.) If the earnest money was wired to the title company, most title companies will have the monies refunded in a day or so. If the earnest money was in the form of a personal check, most title companies will have a policy that 10 day will have to have passed before the funds are released. If you have any questions about earnest money please don’t hesitate to reach out to your agent. Should you have any questions about what types of funds Red River Title accepts for earnest money, please don’t hesitate to let us know. We look forward to working with you on your next transaction.